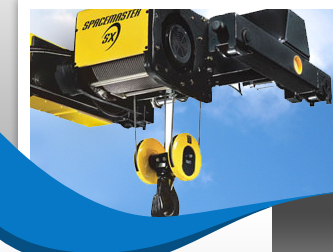 Lifting Equipment including Hoists, Cranes, Jibs, Monorails, Gantries and associated structures. Mechanical Hoists & Pullers. Festoon, Power Bar and Pendant control systems. Electrical control panels for lifting equipment. Installation of control systems including radio & infrared controls and electrical safety interlocks.